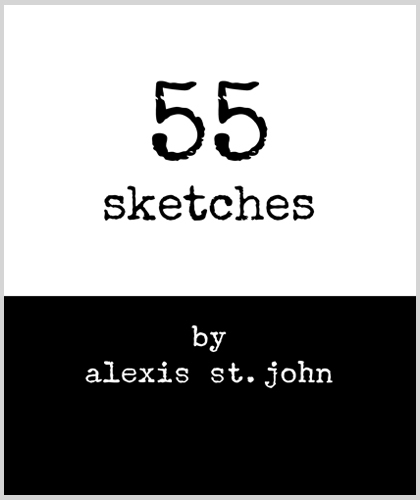 This book contains some of the sketches and doodles that I created over the years and kept in a scrapbook. Most entries were impromptu scribbles on little bits of paper that were within reach when I would get a sudden desire to draw. I initially saved them as possible ideas for artwork to be developed later. Some I did turn into paintings, but the scrapbook doodles had a more intimate connection to the original experience. I’ve grown to love the quickly drawn figures just the way they are. Through the years, they’ve provided comfort, guidance, and tangible reminders of my experiences. I decided to honor the gratitude I have for the scrapbook by creating a book to share with others.